There's nothing quite like seeing your company logo at the top of all your official documents. To add a logo to you call sheet, you'll first need to make sure you've purchased the "custom branding" add-on. 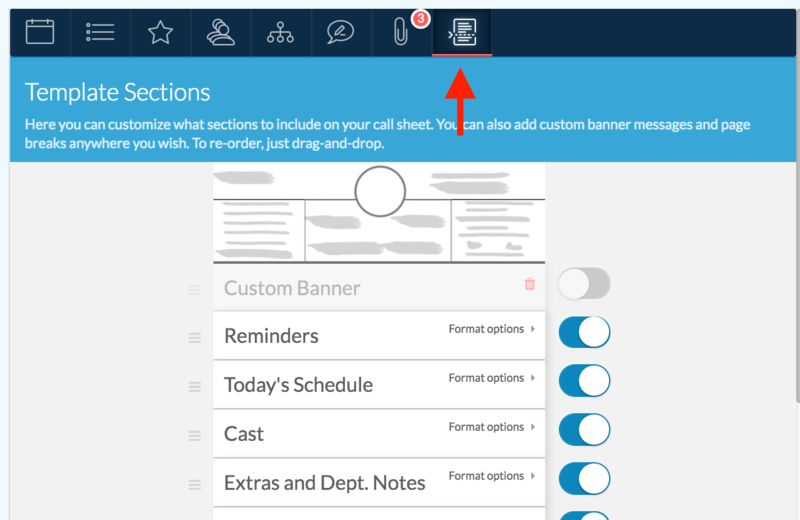 Next, click into a call sheet to edit it. Go to the last tab of the call sheet editor. Scroll down until you see header options. 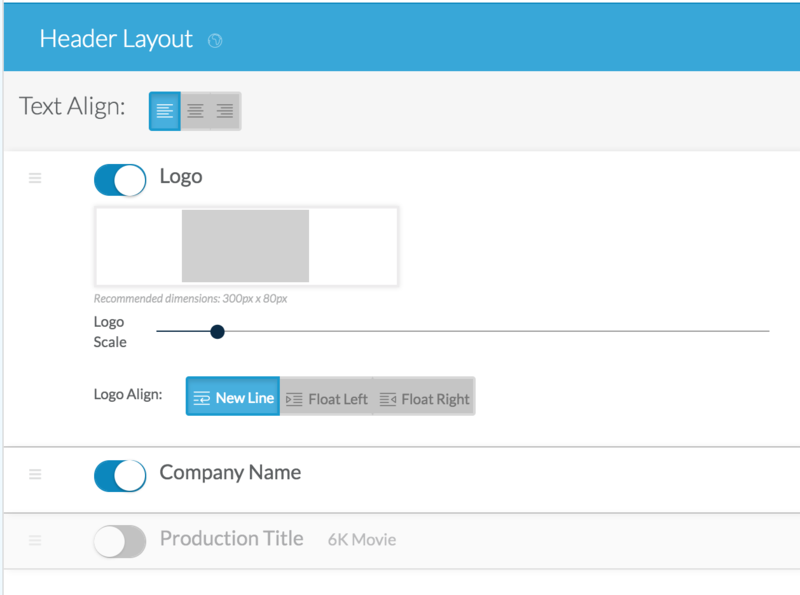 Toggle the "logo" on and then go ahead and upload the image you'd like shown in the header. You can also drag these sections around to change the order they are displayed in. The recommended dimensions for the logo is 300px wide x 80px tall. However, you can use any dimension that works best for your needs.